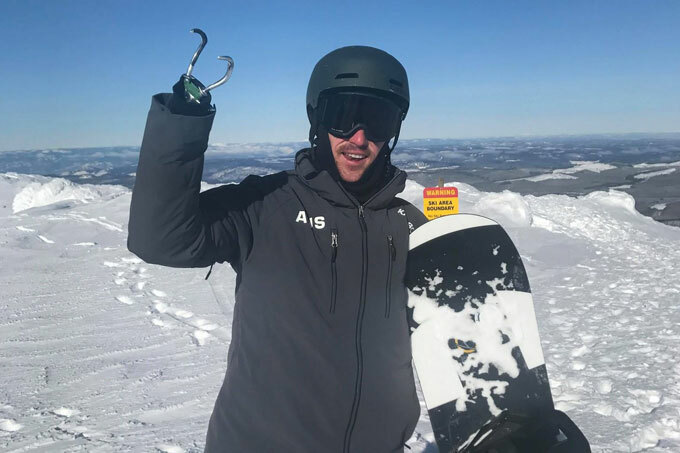 When Sean Pollard lined up in the start gate for the Paralympic snowboard cross on Monday, he had reached the summit of huge personal climb that started in life-changing circumstances just over three years ago. On October 2, 2014 Sean was attacked by two great white sharks while surfing a remote break near Esperance, West Australia, the latest in a string of attacks in WA at the time. In the three years prior to the attack on Pollard there had been 11 shark attacks in West Oz waters, including seven fatal attacks by Great Whites between August 2010 and November 2013. Sharks were in the hot topic in the news with debate raging about shark culls and shark kill zones off popular beaches. When news of Sean’s attack filtered through it was on front page around the country. Shaun’s attack was especially frightening, involving two sharks, the first coming at him three times. Shaun managed to fight it off but lost his left arm and right hand in the attack. The second shark bumped him from below before Shaun somehow caught a wave through to the beach. Fortunately for Sean, there were people on the beach who knew first aid, they stemmed the bleeding and he was in hospital within an hour. He received three litres of blood while in hospital, where he stayed for weeks, and it required 150 stitches to close the wounds. Shaun was 23 at the time, an electrician who had never seen snow. He spent most of his spare time surfing the renowned quality waves of the southwest or, if the waves weren’t good, skateboarding in his home town of Bunbury. 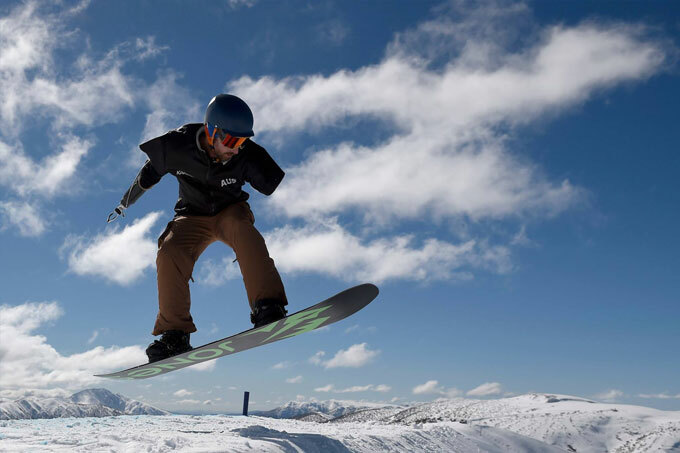 It’s hard to believe that just over three years later he is in Australia’s Paralympic team for PyeongChang, racing in the snowboard cross and banked slalom. Rehab has been a long, slow and at times painful process, but he has the resolve to push on through and stay positive. 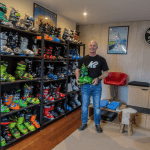 “It’s been a fairly steep recovery since then and I’ve learnt a lot about myself and the things I’m capable of,” Sean said in a recent interview with the ABC. Sean was introduced to snowboarding while on holiday with friends in Canada in late 2015 and as a surfer he was quickly hooked by the sense of freedom and the similar flow of the two sports. More importantly, like surfing, snowboarding offers an escape, that “moment” where nothing else matters, just the turn, the speed, the snow. 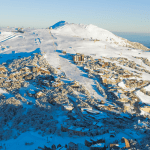 Chasing that moment has seen Sean develop pretty quickly as a snowboarder and he has spent the last couple of winters training in Mount Hotham. 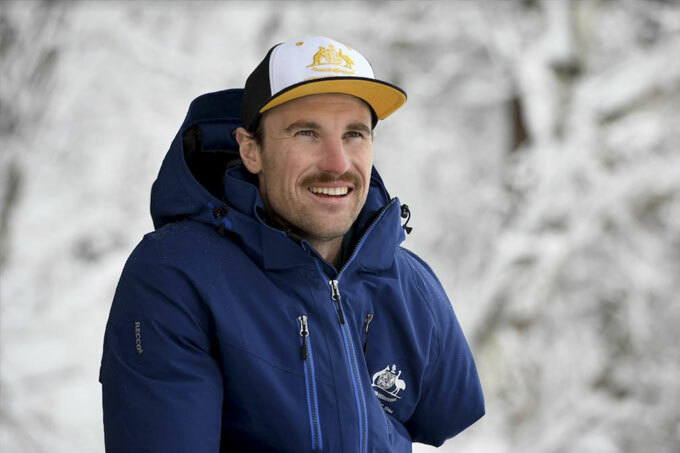 Being named in the Australian team for the 2018 Paralympics was a remarkable achievement in such a short time and for Sean it is a big reward for a lot of hard work. On Monday Sean finished ninth in the snowboard cross, just missing by out on making the quarter finals, after losing to Italy’s Jacopo Luchini by 0.13seconds. The event was won by Australia’s Simon Patmore and by the way Sean and fellow team mate Ben Tudhope swamped Patmore for a group hug at the finish line, you can see the camaraderie these guys share. They are a close team and Sean and Ben looked as stoked as Patmore was with his win. Tomorrow all three will compete in the snowboard banked slalom and no doubt Sean and Ben will be inspired by Simon’s gold medal win on Monday. 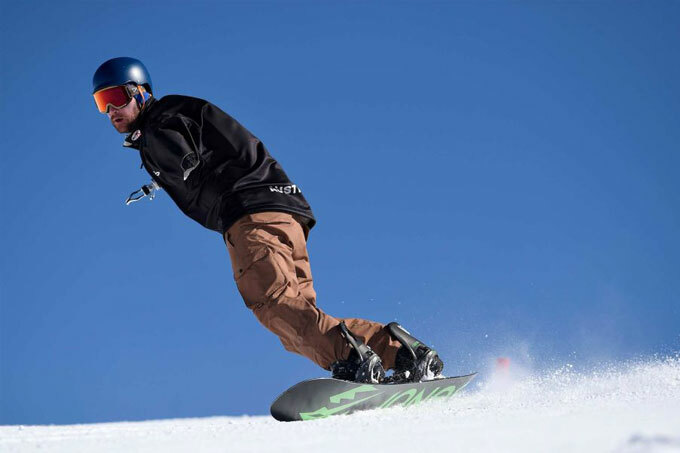 Sean is looking forward to the banked slalom, a course where his surfing background may come into play and he has a good chance to improve on his ninth place in the snowboard cross. Regardless of the result, Sean’s story is pretty amazing and, like all the athletes in the Paralympics, he has overcome plenty of adversity to get where he is today. Only been snowboarding for three years? You have to wonder how much better Sean will be when the next Paralympics roll around in 2022.